Lama Kunga Thartse Rinpoche will kindly bestow the empowerment of Miyowa (in Sanskrit, Achala) at Ewam Choden on Sunday, January 27th. The starting time is 1:00 p.m. Miyowa, the Immovable One, is a wrathful protector who helps the practitioner remove all outer and inner obstacles. Please arrive early in order to register, and as usual, be considerate of our neighbors when parking. This event is open to anyone. The requested donation is $30. Dana (offering) to the Lama is separate. There are now monthly group practices of the long sadhana of Hevajra in the shrine room at Ewam Choden. These are the first Sundays of each month. 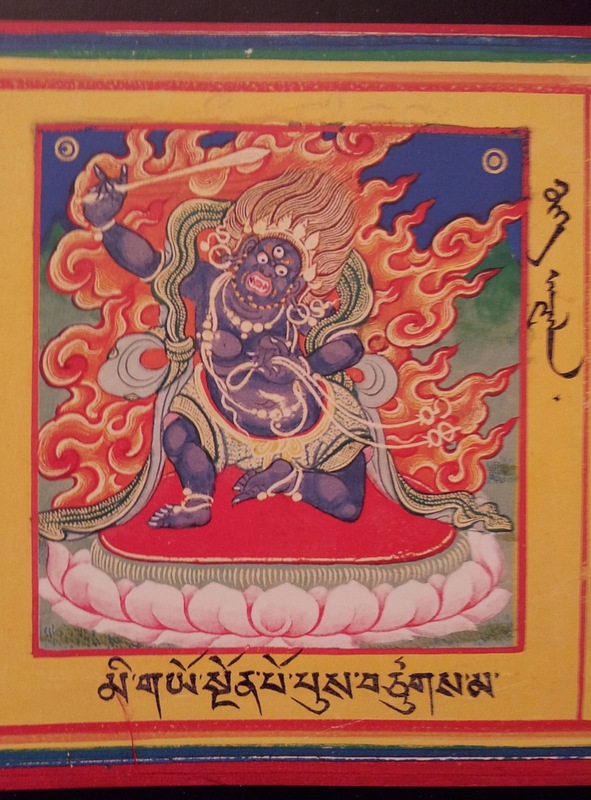 The next Hevajra practice session is Sunday, February 3rd at 11:30 AM after meditation. PLEASE NOTE: This practice is restricted to people who have received the Hevajra Path empowerment given at the LamDre teachings. People who have had the Hevajra cause and path initiations in the Sakya tradition are eligible to (and urged to) attend. We will practice the sadhana that says ” middle length practice” on the cover and is usually referred to as the long practice.